‘Antinomianism’ in the seventeenth-century does not have a straightforward set of tenets, nor was it a concerted movement or party. Initially, we think of it as confined to the view that ‘the law’, the moral law embodied in the Decalogue, is not to be the ‘rule of life’ for the believer. Why is that? Well, because there is ‘in the air’ the thought that Christ is both our justification and our sanctification. He suffered for us, and so his character as well as his righteousness are imputed to us. As a consequence, and in contemporary jargon the believer has to 'Remember, God loves you just as you are'. Surely God in Christ should be praised for the provision of such an expansive salvation! He has ‘done it all’. But disregard of the law as a rule of life is only a proximate reason of analysis, Mark Jones claims, a symptom rather than a cause. 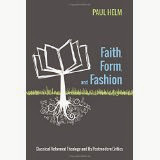 The root difficulty in antinomianism lies in the Christology of such thinkers – Eaton, Crisp, Towne and so on. It was what they didn’t affirm about Christ that does the damage. It strikes me that there was a good deal of individualism among preachers and writers who were ‘antinomian’, not a term they used of themselves, of course. (It’s a puzzle to me that neither side in the debate seems to have given much attention, much less to have stressed, the New Testament emphasis on Christian graces or virtues, which are closely related to the law (as seen in Romans 13.8 f. Paul has much to say about walking in the Spirit (Gal.5.16), the fruit of the Spirit, (Gal.5. 22) ‘love, joy, peace, patience, kindness, goodness, faithfulness, gentleness, self-control’. And Peter also about the formation of virtue, and of other qualities. (2 Pet. 1.5-7), and Jesus's half-brother James refers to as the ‘wisdom from above’…. ‘peaceable, gentle, open to reason, full of mercy and good fruits, impartial and sincere. And a harvest of righteousness is sown in peace by those who make peace.’ (Jas. 3 17-8)). The character he came to have, not without striving against sin, is not imputed to us as our character. His righteousness becomes ours by imputation, but not this character. The sanctification of God’s people is their change, it is not what is reckoned to them, not their change only, (because God by his Spirit is working in them to energise the change), and the believer has to 'work out'. (Phil....) In this process Christ’s character is to be a source of inspiration and emulation in the course of the life of faith. What results is really our character, sculpted in our human nature by the grace of God and the empowering of Christ’s Spirit. Or not. Jesus is ‘full of grace and truth’. So the adoption of the self-denying and faithful and obedient attitude of Christ is to be the basis of ‘working out your salvation with fear and trembling, for it is God who works in you, both to will and to do for his good pleasure.’ (Phil. 2.12-3). And note the Christological basis of self-discipline in Hebrews 12. We are to run with patience, looking to Jesus…Considering him…and heeding him who warns from heaven’ (12.25) And in I Peter. ‘Christ also suffered for you, leaving an example, so that you might follow in his steps’ (1Pet. 2 21-2). To be clear, or clearer, sanctification is the outworking of new life implanted in regeneration, and nurtured by God. Nevertheless, the activity involved in the life of faith is the believer's activity, as he takes up his cross and follows Jesus. Behind this emphasis lies a distinction with which we are not too familiar, that between the love of God’s benevolence or mercy, and his love of complacence or delight. Why is this distinction unfamiliar to us? Is it because we think of God’s mercy, and the life of faith, of sanctification, as solely motivated by gratitude for what that mercy has procured? But there is more to it than this. God delights in his people. (Ps. 147.11, 149.4) How so? When there is evidence of their Christ-like renewal. So Christians are to ‘walk worthy of the Lord, fully pleasing to him,’ following Christ who pleased his Father (2 Pet. 1.17, Col. 1.10; 3.20, I Thess. 2.4, 2 Thess. 1.11). God does not delight in his people 'just as they are' but insofar as they come, fitfully and imperfectly, to take on a Christian character. Are there conditions required to qualify people in coming to the Cross? Certainly not. The Lord receives us just as we are. Are there conditions for divine delight in his people? Most certainly. Is the pleasing of God the ambition of Christians today? There’s more in the book than I have discussed in this review – assurance, rewards, the need for a more nuanced attitude of both-and rather than either-or, the need for care with language. This is a rich book for pastoral theology, showing how the many-sidedness of God’s love can reach a person’s needs and problems, and how Christ is to be our model. Living as a Christian is a serious business. But I wonder if they do pastoral theology like this any more? A similar tendency is at work in K. Scott Oliphint’s, God With Us: Divine Condescension and the Attributes of God (Crossway, 2012). He offers a strongly covenantal and Christological understanding of the character of God. Christ is the climax of the covenant, the culmination of God’s disclosure of his covenant with Abram and the development of this in the Old Testament. And Christ being God he is God’s fullest revelation of this covenant-God. It is an interesting book, weaving together this scriptural theme, and utilising historically important and contemporary thinkers to do so. He also raises critical questions about the doctrine of God that he believes that this theme raises. I think it is fair to say that he does not go so far as do Lister and Ware in favouring a ‘duality’ in God. Nonetheless he is unhappy with aspects of classical theism, and these take their rise from the fact of the Incarnation, and his unhappiness is over what he reckons to be the adverse implications that classical theism has for God’s becoming incarnate in time, and of the reality of God’s emotion. There are interesting similarities and differences with Lister and Ware. Though Oliphint does not go so far as to say that God ‘becomes’ temporal his view may nevertheless imply this. Perhaps the best place to begin is with his discussion of the event of the Incarnation in Chapter 1. He objects to the idea that there was no time when the eternal God was Jesus of Nazareth. His criticism of this view is I think based on a misunderstanding. To say that is to affirm that the Logos had no life history independent of and prior to the Incarnation. That must be the case if the Logos is God and God is timelessly eternal. As the Constantinopolitan Creed (AD 381) puts it 'We believe in one God, the Father All Governing, creator of heaven and earth, of all things visible and invisible. And in one Lord Jesus Christ, the only-begotten Son of God, begotten from the Father before all time.' But of course there were times when the Son was not incarnate, namely those times in history before AD 1. When in these last days he has spoken to us by his Son, 'through whom also he created the world....[who] upholds the universe by the word of his power'. (Heb. 1 2-3) So we must distinguish Christ the Mediator's own life-history, and his incarnation at a time in world-history, 'born of a woman, born under the law'. So we must distinguish the years of created history and the life of eternal God. It is probably misleading to refer to this life as forming God’s ‘life history’, since an eternal being has no history, while we, and the Incarnate One, necessarily have one. Nevertheless it makes the point (in a negative way) that God eternally decreed to become incarnate in 1 AD. He is particularly concerned about figures in theology who have expressed the relationship of God to creation in such a way as to undermine its reality, that is the relationship’s reality. (Hence ‘docetism’). Figures such as Thomas Aquinas (188) and Puritan and Reformed theologians such as Stephen Charnock – and Peter Martyr Vermigli. 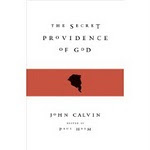 (189-90) (Calvin seems to escape Oliphint’s strictures, but it is not clear why he is so lucky.) What the views of such theologians have in common is that according to them creation does not require or result in a change in God, but only a change in the creation, and only a change in God in that when what is eternally decreed comes to pass God has an external relation which he does not have absent creation. He is now related to his creation. Oliphint recognizes the concern of such theologians to safeguard God’s essential immutability (189, 190). He does not do a very good job in explaining this in the case of Aquinas (188-9), saying that in creation it is the ‘idea’ of God as creator that is predicated of him. This is not quite accurate; it is the relation of God to the creation that is predicated of God, but this relation does not terminate on God’s part in a change in him, but it consists in the creation coming to be, and what is decreed to follow from this, changes in the creatures. The answer is: neither of these. The Lord is angry, right enough, but that anger is not the outcome of a change in God, but is manifested to us (out of the fullness of God’s being) as the result of God eternally decreeing (and so changelessly decreeing) to be angry with us at that time. And we may change in time by responding to that anger with fear, or penitence, or indifference, or some other response. Perhaps the problem is that Oliphint is thinking of God’s anger, say, in an abstract way. It is not simply God being angry, but manifesting anger on a certain occasion, and for so long. This is what is eternally decreed. At other times Oliphint seems to be concerned not only with God’s eternality, but also with his simplicity. (191) ‘Is God’s anger to one person an identical disposition as his grace and covenant love toward another?’ (191) Is the sunlight that is refracted through the varied colours of the stained glass window one and the same sunlight? Of course it is. The colours in the glass make the difference. In a similar way the eternal goodness of God is differentially experienced by one person at different times, or by different persons at the same time. With the thought that God changes and initiates some state of affairs that brings about changes in us, and we in turn bring about changes in God the same worries are here as in Lister about personal interaction, and emotions. In asserting that ‘He is both immutable and in his condescension takes on covenantal properties in order really and truly to relate himself to us’. (191) Oliphint is teetering close to Listerism, but unnecessarily so. The problem (in case you've not twigged it) is that once, besides eternal God, there is a God who has entered time, and can change and have fits of passion and so on. The question very naturally rises, which of the two Gods is God? Or are both Gods God? In which case God is both eternal and in time, both aspatial and yet in space, and so on. That is certainly amazing, but is it coherent? Biblical theism requires that we make a sharp distinction between what God has eternally decreed, and what as a result comes to pass moment by moment, stage by stage in time. Otherwise we confound the Creator with his creation. The coming to pass of what is eternally decreed is executed in time. But God is not in time, though what he decrees to come to pass most certainly is. This is not my saying so, but the Reformed faith, in her Confessions, and through her doctors. 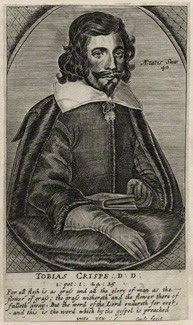 Doctors such as John Owen. In his book the The Doctrine of the Saints' Perseverance Explained and Confirmed Owen has a wonderful chapter (III) on the immutability of the divine purposes. This is how Owen describes the positions he goes on to defend, biblically and polemically, in the course of the chapter. It is, then, of the decrees and purposes of God, with respect to the matters about which they are, whereof I speak: in which regard, also, they are absolute and immutable; - not that they work any essential change in the things themselves concerning which they are, making that to be immutable from thence which in its own nature is mutable; but only that themselves as acts of the infinite wisdom and will of God, are not liable to nor suspended on any condition whatever foreign to themselves, nor subject to any change or alteration....That the determining purposes or decrees of God's will concerning any thing or things by him to be done or effected do not depend, as to their accomplishment, on any conditions that may be supposed in or about the things themselves whereof they are, and therefore are unchangeable, and shall certainly be brought forth unto the appointed issue, is that which we are to prove. (Works, XI 144). A somewhat different world from that of Ware, Lister and Oliphint. Next time we shall set out the differences more explicitly.